encoding services using peer-to peer technology. 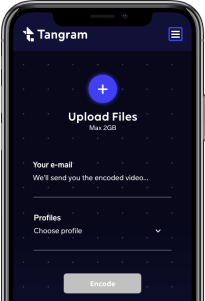 Blockchain based platform to provide decentralized video encoding services using peer-to peer technology. Efficient video broadcasting is becoming crucial for a number of activities that utilize video on the internet: from advertising to news to sport and social media, more and more video content is produced, shared and broadcasted every day. This represents a critical factor for network communications and data storage, which cannot currently handle the transmission nor the storage capacity. The broadcasting of huge video files is very expensive, as they use a lot of bandwidth and cannot be handled efficiently. Therefore, to be transmitted, videos need to be transcoded. Single computers can only perform to their best ability but with distributed computing, you get the best from across the whole system. A single server can be rocked by glitches, but with distributed computing, a single glitch cannot result to complete system failures. The p2p network that process the tasks can accommodate an infinite number of nodes without need of new configurations or manual tasks. The business model utilizes “third parties” unutilized CPUs and rewards them with a token, so that lower hardware investments are required. The Tangram Network is a decentralized network composed by three kind of participants with different roles. Learn more about Tangram with this brief document explaining our decentralized platform. A masternode is a public node of a distributed network. It manages the primary distribution of jobs, the verification of the transcoding process and the rewards. You can apply clicking the button below. The worker is a generic worker inside the Tangram Network. It is a pseudonym entity, managed by any person that want to be part of the Tangram Network and do jobs released by a masternode. I consent to the storage and processing of my personal data by Tangram. Our blockchain-based encoding service is faster, safer and cheaper, and is completely flexible. Join the Tangram revolution!